PARIS/BERLIN -- Audi will introduce Valeo's micro-hybrid "stop-and-start" systems in its RS5 sports coupe, sources told Reuters, in a sign that the Paris-based supplier may be tapping new premium demand for the fuel-saving technology. The contract with Volkswagen's upscale Audi division underlines increased spending by automakers on technology designed to reduce carbon dioxide emissions, in response to tightening standards and testing regimes. VW and Valeo both declined to comment. Unlike a typical alternator, which converts engine torque to electricity to power a vehicle's circuitry and charge its battery, the starter-alternator can also re-start the engine in a fraction of a second. The Valeo system delivers fuel savings of up to 15 percent by automatically shutting down the engine whenever a car is halted by a red light or traffic, with an in-step reduction of CO2 and pollution emissions in congested cities. First introduced in 2004, the so-called "i-StARS" technology is a flagship product of Valeo's 4 billion euro ($4.6 billion) propulsion systems division, with 3 million units sold. But launch customer PSA Group and other volume manufacturers have since dropped it from new models in favor of beefed-up starter motors, a cheaper though less efficient stop-and-start solution. The i-StARS system is beginning to find new markets, however, Valeo boss Jacques Aschenbroich told Reuters. "Demand for it is continuing to grow significantly," the CEO said, predicting double-digit percentage sales rise. 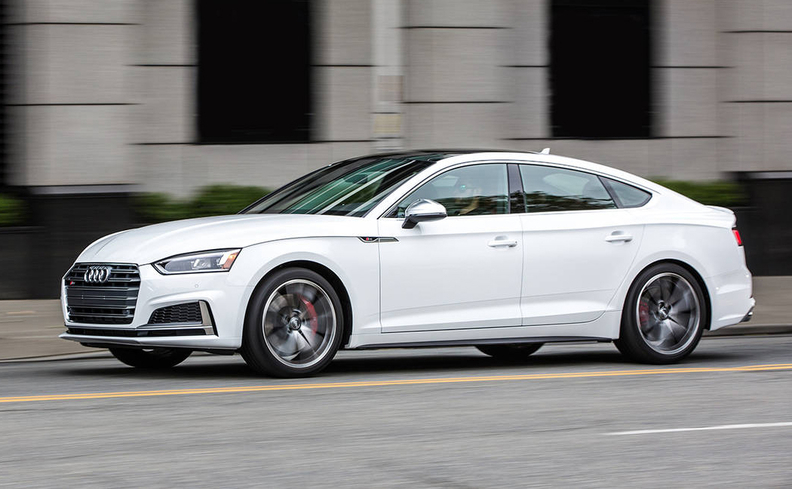 With the mild-hybrid RS5, which went on sale this month in Germany and in France next week, Audi becomes the first German premium brand to use the technology on its current vehicle lineup.